As cute and furry as they are, nobody wants hoards of mice running rife in their house! So if you have detected any signs or sightings of these stealthy little intruders, you are probably wondering how to get rid of mice in your house. This is a topic you can really get your teeth into – rather than letting the mice get their teeth into your stuff. You will find that there are numerous options and opinions when it comes to mouse control, so the sooner you get your game plan together the better. The following pointers will give you an overview of the territory so that you can make some informed decisions. Unless you have actually seen a mouse scurrying along the skirting board, you may be basing your hunch on the droppings or other evidence you have found. 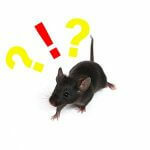 Most likely you are right, but it is worth making sure that it is not rats or other rodents you are dealing with. Mice droppings are about the shape of a long grain of rice and can vary in color from dark to light brown depending on how fresh they are. Rat droppings are somewhat larger than mice droppings. Besides the poop evidence, you may have found gnawed off corners of cardboard boxes, or heard squeaking, scratching noises in the walls or ceilings. If you have found mice droppings, you may be able to ascertain approximately how many mice there are by the number of pellets. The average mouse can generate up to seventy-five pellets per day. These are dark brown when fresh and turn lighter after three days. If they are grey and crumbly then you know they are very old. By observing the poop you can get some idea of the mouse population in your house. However, one thing is pretty certain – it won’t stay that way for long, because mice tend to breed very rapidly, if they are not effectively evicted. Where are they Getting in? As you continue your survey around your house and property, keep a keen lookout for any little holes or entry points where the mice may be getting in. Mice are known to be able to squeeze through incredibly tiny spaces, even as small as a pencil diameter. If drainage pipes are not properly sealed these may be used to enter through sink or bathtub drains. Gaps between bricks or loose facia boards are other possibilities, as well as gaps under doors or windows that do not close properly. Where are the Nesting Areas? You may come across a bundle of shredded papers and soft materials which would be a sure sign of mice nesting. They usually prefer to make their nests in dark, secluded corners. Attics, basements and garages are some of their favorite places, especially if there is lots of clutter and unused boxes lying around, or even old mattresses. Where are their Favorite Routes? Sometimes you can identify the pathways which the mice are taking by the droppings and urine spots they leave along the way. Droppings and urine are used to mark out their territory and to communicate with other mice. One suggestion would be to sprinkle some talcum powder along the floors and then watch for the mice tracks which will show you where and in which direction they are heading in your house. 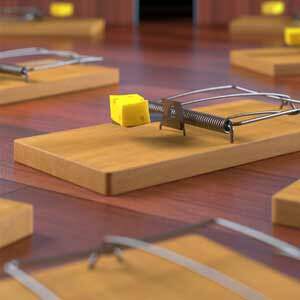 Mouse traps are one of the best way to get rid of mice. They come in all shapes and sizes, ranging from the conventional snap traps to glue traps or homemade varieties. 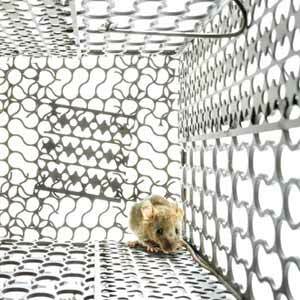 It is important to place traps strategically near entry points, nesting areas or along the known high-traffic pathways which the mice frequent. When deciding on a trap, bear in mind whether the end result is likely to be a live capture or not. Either way, you need to be ready to dispose of the mice after they have been caught. These should be used with caution as they could be accidentally ingested by pets or children. If you choose this method, make sure that you use sealed baiting stations, and always place them in concealed areas such as behind cupboards or under the refrigerator. Do not put them in the open or outside where they may be taken inadvertently by other wildlife. Always handle poison with care and remember to use rubber gloves. Should you decide to go the natural route, you could start by using a strong smelling deterrent around your house. Pure peppermint oil drops placed on cotton balls can keep the mice at bay, as can moth balls. One of the most effective natural methods though, would be to get a cat! Some types of dogs, such as terriers, are also great at hunting mice. By now you might have decided that you are in over your head and instead of asking how to get rid of mice, you should being asking which exterminator to hire (because it all seems like this is something that might be best left to the professionals). That is always a good option, especially if you did not manage to get rid of the mice within a week or two. A professional mouse exterminator will be trained in how to outwit the mice, getting them out of hiding and most importantly, cleaning up all the mess for you. 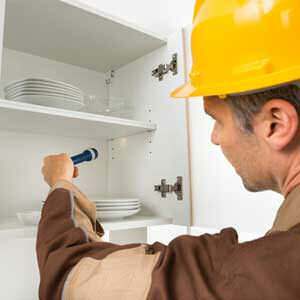 They should also do follow ups to ensure that you are completely pest free. Once you have got rid of the mice, you can heave a sigh of relief. But don’t relax for too long, because now you need to mouse-proof your home so that no re-infestation occurs. Block up the entry points: Remember those entry points you identified when you did your initial survey? So now you need to go and block up all those holes with steel wool or caulk. You could do this yourself or ask your professional exterminator to do it for you. Prune your garden: If you have shrubs or trees with branches hanging onto your house walls, these can be an open invitation for mice to clamber into your home. So make sure you prune back those branches, and don’t store piles of firewood right next to your house. Securely store all food items: Anything edible should be in an airtight container preferably made of metal or very strong plastic. This includes pet food and things like birdseed which you may have in your garage. Don’t leave the pets bowl with food in it overnight as this may attract unwanted rodents. 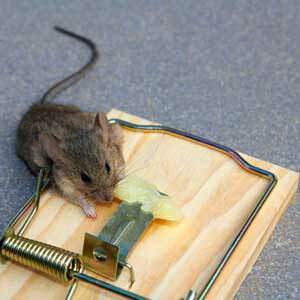 The Best Mouse Traps That Will Catch Them Tonight! Hopefully by now you will have your game plan clearly in mind, and you have a much better idea of how to get rid of mice in your house. Whatever you decide to do, time is of the essence as one pair of mice can have up to ten litters in a year. So don’t delay! Get rid of the mice and enjoy your home with your own family, friends and pets.